Was wondering has anyone had a problem with purchasing skins on Xbox One since it's been implemented? I have my same card on both PSN and Xbox and purchasing the skins through the in-game store on Playstation directly sends me to check-out like any other purchase. 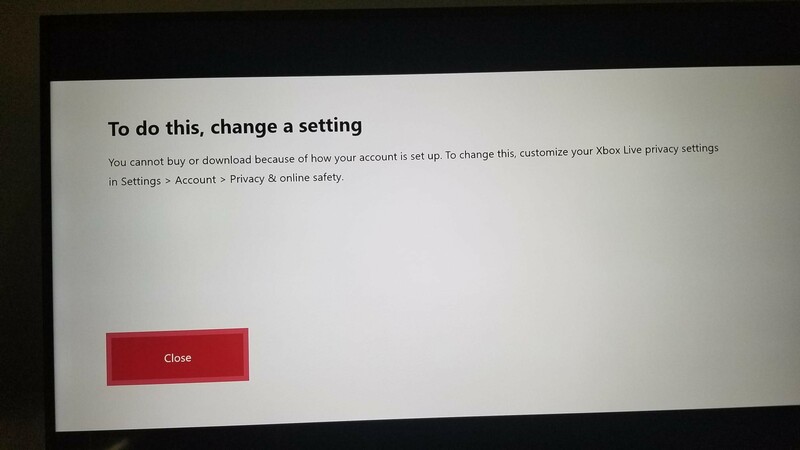 On Xbox it keeps telling me to change privacy settings in my Xbox Live which I shouldn't have to because I can purchase anything through the Microsoft store with the same settings. Been in chat with Microsoft to where I just gave up because they keep telling me my account must be set on child settings when it isn't so i'm sure MS hasn't figured out how to intergrate Klei's in-game store to theirs. Any help is appreciated, always support this game, have it on every platform and just want to be able to support Klei fully on the box as well, Thanks all!